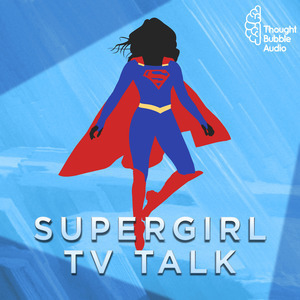 115 episodes of Supergirl TV Talk since the first episode, which aired on January 25th, 2015. SPECIAL NEWS BULLETIN! So much casting news, it'll make your head spin faster than a speeding bullet. With news breaking just minutes before recording, Frank and Tim are back this week with the latest updates. Supergirl's Jimmy Olsen is cast! Frank and Tim discuss the casting, as well as the origins of Supergirl, Jimmy Olsen, and the cast of supporting characters. Meanwhile, Tim learns some shocking news about Frank. Welcome to Supergirl TV Talk, the podcast devoted to the upcoming CBS Supergirl TV series. Hosts Tim and Frank kick off this premiere episode with the latest news, a few predictions, and of course some wild speculation.